We all know now that iOS had been Candy Crush-ed last 2013. But other than this addicting game app, what other applications are included amongst the most downloaded in the year that was? In this post, we feature the top 10 free iPhone apps based on Apple’s list. Do refer to the previous post Candy Crush-ed 2013! for more details about this app. Along with Facebook, Pandora, Temple Run, and Instagram, YouTube is a returning champion from last year’s top 10. However, some apps were replaced this year including social media giants Twitter and Pinterest as well as top voice and chat application Skype. The YouTube app by the way will have you expect nothing different from the browser version except its petite design. The original Temple Run game app was amongst 2012’s list of top 10 most downloaded apps in iTunes. 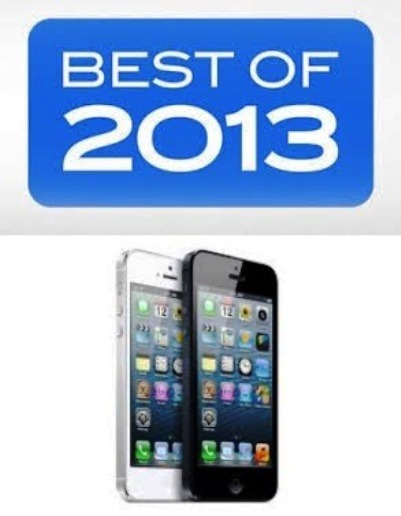 Its second version makes it to the top 10 last 2013. Temple Run 2 offers more exciting obstacles, greater challenges, and a new overall design. Aside from this version, other versions which had also been released include Temple Run Brave and Temple Run Oz, both of which were designed exclusively for Disney and the animated movies that inspired them. Temple Run features a chosen character which continuously flees from pursuing demon monkeys after stealing their worshipped idol statue while constantly evading hurdles along the way by running, jumping, and gliding. Twitter not making it to the list this year can be attributed to the fact that their marketing efforts had been channeled towards Vine, an app they acquired around October 2012 which enables app users to post short video clips through social network sites like Twitter of course and even Facebook. Even Apple’s own maps product (which ended up a disaster anyway) is no match for Google’s mapping service. Snapchat allows users to send photos and videos enhanced with text and drawings to selected recipients. The items sent are called “snaps”, hence, the app’s name. Still a predominant social network and video plus photo sharing site, Instagram’s app is still one of the most downloaded to date. Facebook acquired this service in April 2012. Initially, only photos can be shared but in June 2013, Instagram introduced the capability to post videos lasting for up to 15 seconds. This move can be deemed as Facebook’s attempt to compete with Twitter’s video sharing app, Vine. Still the top social network site in the planet, Facebook records about 1.15 billion active monthly users worldwide as of this month, January 2014. Pandora Radio is still the same old Internet radio, Pandora which allows users to play customized music according to their musical preferences. Last year’s release of the movie sequel to the hit animated film Despicable Me may have encouraged increased sales for its mobile action app game. Play with Dave, one of the minions and complete fast paced challenges using power-ups, technique, or plain old Lady Luck in order to earn titles and customize your minion. You may also purchase other minion characters. If you haven’t downloaded these top 10 free iPhone apps yet, head over to the iTunes App Store! This entry was posted in Apps, iPhone and tagged top 10 free iPhone apps. Bookmark the permalink.